Born jacob williams in harlesden to a jamaican father and dominican mother, he dealt with numerous obstacles after leaving school. Once he overcame these issues he joined up with childhood friend and fellow artist reddmann (uk), and was enlisted into the uk dancehall collective suncycle. Their first album titled suncyle included ranks’ homage to his home town, “Harlesden”. Their second album I am somebody was released on the uk label jamdown records. Ranks left the group in 2004 and began his solo career. Nicknamed ‘gappy’ due to the gap between his front teeth, he initially worked under the name ‘daddy gappy’, before opting for the cutty ranks- influenced ‘gappy ranks’. In 2005 gappy ranks was featured on the vice law entertainment mix tapes. That same year, he won the ‘best song’ award at london’s silk awards for “Little understanding”, released by uk reggae record label stingray records, also in 2005, ranks contributed to the single “What we do” by kray twinz featuring twista and lethal b, which charted nationally in the uk at number 23. Ranks performed live at earl’s court in front of a crowd of 17, 000 for the first kiss 100 awards. He also played a full uk tour which brought him to cities such as manchester, birmingham, and newcastle. He recorded for former uk reggae giants jet star records in north west london where he became assistant engineer, giving him time to grow and develop his love for music and network which led him to work with record label peckings. On 26 december 2009 gappy ranks childhood wish was granted, as he performed at the celebrated annual sting event in jamaica. He began to tour throughout the world starting with european countries such as france, the netherlands, italy, germany, and switzerland. In 2010 he released his first album put the stereo on on greensleeves’ peckings subsidiary. Ranks was nominated for the 2010 mobo award in the ‘best reggae act’ category. In 2011 ranks followed up with his second album thanks & praise, this time on his own hot coffee music label, which was distributed by vp records. Thanks & praise included “Stinkin’ rich” (produced by italian producer macro marco), “Longtime”, (produced by special delivery) and the title track (produced by grammy award-winning uk producer jazzwad) gappy ranks has since toured and performed throughout europe, the us, the west indies, and australasia. His tour also included japan and on march 2011 he found himself in the middle of the world’s biggest earthquake and tsunami. The disaster claimed over 20,000 lives and gappy ranks recorded a tribute, “I was there”. Ranks returned to the uk and was featured on bbc’s later…With jools holland, performing “Longtime” and “Heaven in her eyes”. That same year he opened an 18 date tour our in california, nevada, oregon, and washington for collie buddz. He has performed at legendary venues such as bb king’s in new york, the roxy theatre in los angeles, the fillmore in san francisco, the jazz cafe in london. He has also been billed for worldwide festivals such as summer jam in germany, the glastonbury festival in the uk, and best of the best in miami. In november 2012 he headlined his own 16 date cookies tour in west coast usa, canada, and costa rica, in 2013 ranks performed at the raggamuffin reggae festival in new zealand, as well as his cookies reloaded tour 2013 of the east coast usa. June 2013 saw gappy ranks performing at the sierra nevada world music festival for the first time. On 17 september 2013, his third album shining hope was released. In june 2014 gappy ranks collaborated with new zealand hip hop producer pmoney on an 8 track ep titled the baddest; the ep was recorded at red bull music academy in auckland, new zealand. The end of 2014 saw gappy ranks collaborate with “Tom chasten” of the legendary “Dub club” in los angeles for a ep titled “Gappy ranks meets dub club” released & distributed by top us record label stones throw records”. Ranks showed his true passion as he founded, presented & hosted his music festival titled “pelpafest” which showcased over 30 artists such as don andre, exco levi, omi & braintear spookie just to name a very small few. The festival which is solely focused on rising & unestablished artists has since grown much interest & anticipation worldwide. 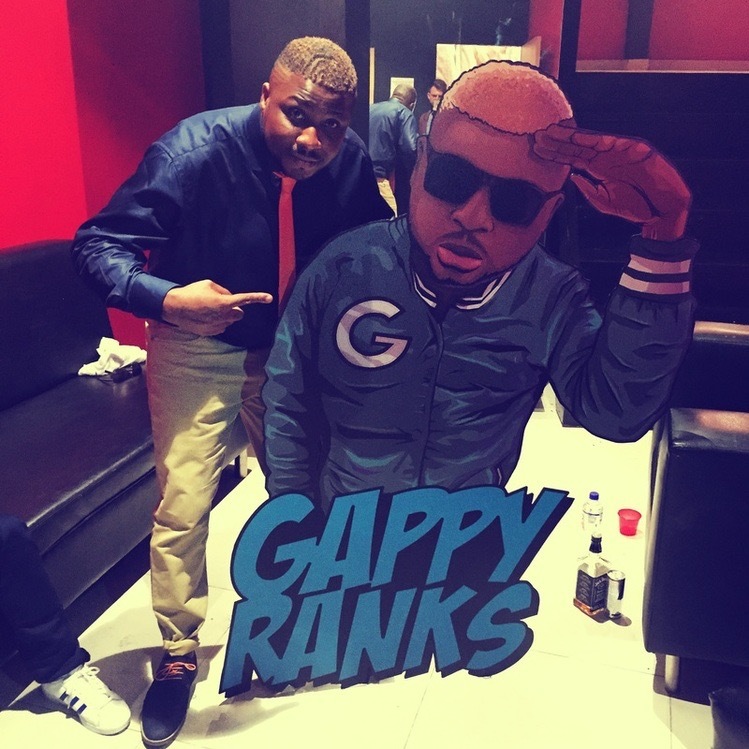 At the start of 2015 gappy ranks has released 19 tracks on his mixtape titled “Mad move” which has quickly gained support over social network, radio & dancehall events. Unpredictably, gappy ranks showcased his own sound system to the world which took the name “sound gappy” with over 1000 doublets collected in record time from global artists, ranks gave his tuesday afternoons to his locals radio station real beat fm in which he single handedly presented a live broadcast show for 10 months, breaking new music, entertainment news & artists whiles never playing a single gappy ranks track. In 2016 with numerous single recordings & weekly live appearances gappy ranks delivered his 4th album titled “guide me”. The eclectic british born artist has hand picked his 13 tracks and delivered, compiled & executed a sure classic feeling which hits the listener from the title track guide me produced by jamaican column zj chrome of cr203 who has worked with some of the very best in the industry. With a very large catalogue ranks embarked on his world tour tilted “guide me world tour” visiting the territories such as south america, north america, europe, australasia, asia, west indies, central america, canada & africa in which he visited of 8 african countries & documenting the experience compiled into a 20 minute documentary. 2017 has gappy ranks aka plea lee entering another time capsule within music. A sure favourite for all dancehall patrons alike – ep tiled “pon di lawn” gives the listener a journey into the fabric of sound system culture complimented with the excellence which is the 1987 “Tonight riddim” by king jammy’s records to name 1 of 10 featured tracks from the 80s 90s dancehall era ranks plans to surprise the fans of his music with more classic & live appearances in the near future, along with a pon di lawn tour & the return of pelpafest.